Excellent value and perfect for livening up your next gathering on campus or the beach. The body provides rich, full projection & the natural spruce top delivers a crisp, quality sound. 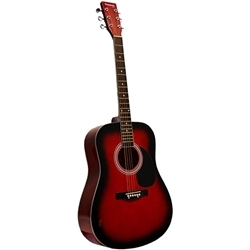 Ideal for the beginner and great for a seasoned player that needs a guitar to roam around with. Spruce body. Made in China. Huntington guitars since 1975.